The fact that Pere Ubu has been flying under the radar for the majority, if not the entirety, of the band's career is at the same time surprising and somewhat expected. Retaining an excellent balance between the sound that defined the late '70s to mid-'80s, in new wave and post-punk, and at the same time layering that foundation with avant-garde augmentations, Pere Ubu is not a very easy band to follow. Aspects of musique concrete and krautrock notions living beside blues and garage rock is a strange mix, no matter how successful Pere Ubu was in nailing the bizarre cocktail. Revolving around main man, vocalist David Thomas, the line-up of the band has constantly been changing, but that is not something that has slowed the band's prolific output. Since its inception back in the mid-'70s, Pere Ubu has remained active and is about to release its 16th full-length in 20 Years in a Montana Missile Silo, following the highly bizarre, even by the band's standards, Carnival of Souls. The band's 2014 album was a tour de force of experimental rock, diving headfirst into the avant-garde depths and unearthing a terrifying gem of a record. Tracks like the mysterious “Doctor Faustus” and the colossal “Brother Ray” are some of the most compelling material the band has ever released. In that respect 20 Years in a Montana Missile Silo does not share the same dark, exploratory sense of its predecessor. Still elements of that quality exist, as in “Plan From Flag 9”, which is based on samples and minimal instrumentation accommodating a spoken word-like performance by Thomas. Always retaining this off-kilter essence, alongside an almost sadistic view towards structure, as the track reaches the promise of a crescendo that never arrives, Pere Ubu still display this intricacy when it comes to compositions. The mysterious and mesmerizing tonality of “I Can Still See” is another moment of this hypnotic experimentalism, as it slowly puts you under Pere Ubu's spell and drags you in the band's realm. The majority of the record, however, focuses on establishing Pere Ubu's vision of its original influences. The manner in which the record kicks things off with “Monkey Bizness” is an astounding example of the act's surf rock mutation. The tone is vibrant, and there is something electrifying about Pere Ubu when the band explores the standard rock form and interprets it through hooking choruses and bombastic verses, as they appear in “Red Eyes Blues” and the '70s rock-influenced “Swampland”. Similar is the scope of the blues influence, in the garage driven “Funk 49” and the typical blues progression of “Howl” and “Walking Again”. All these moments are reinterpreted by Pere Ubu, crafting a psychedelic driven, experimental take on each genre, where the background is altered by projecting avant-garde notions, through the strange synth sounds. That is particularly effective in the album's “power ballad”, the fantastic “The Healer” which through its surreal context brilliantly exposes both the adventurous spirit and the sentimental underbelly of Pere Ubu. 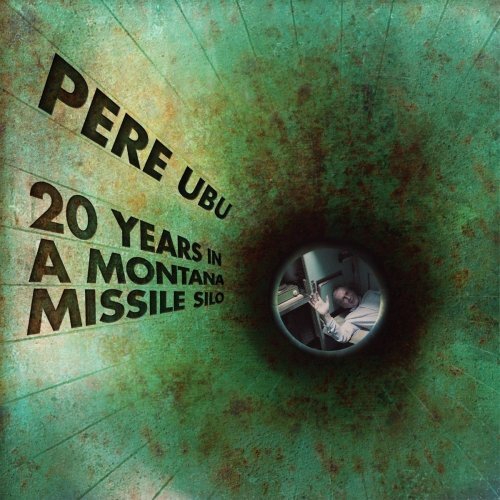 20 Years in a Montana Missile Silo displays a side of Pere Ubu that is more familiar than Carnival of Souls. Taking a step back, the band manages to tangle all the aspects that make its music so enticing and driven, may it be surf rock riffs and blues rhythms, or experimental sonic manipulation and avant-garde thinking. The short duration of the tracks, about three minutes on average, and the fantastic guitar performances enhance the experience, enriching the various twists and turns Pere Ubu travels.